The products are strictly packed and dispatched safely to the client's stated address and that too in the committed time span. We are supported by a well-structured warehousing unit that is spacious and installed with all required amenities. We ensure complete safety of the products by storing them in our warehouse. 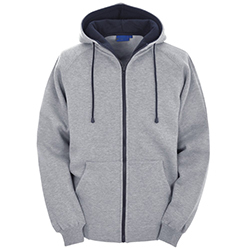 WB-607 Gym Hoodie has excellent sweat absorbency with a smooth zipper closure.